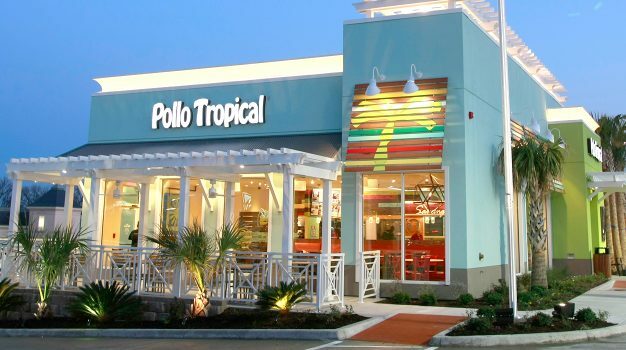 Architectural Elements as Branding | Awnex inc.
Retail chains are shifting their exterior branding spend to Bolt-On™ Architectural Elements, potentially dodging code signage battles while imaging more economically short and long term. Here are some key essentials to consider in your exterior branding mission. A consistent look helps strengthen your brand. Exterior branding only works if the shapes and colors are easily associated with that brand name. Retail chain stores & restaurants achieve this through repetition. The brand is strengthened, “burned-in” to the mind of the consumer, by consistency in appearance. Solidify the image by making sure your colors and shapes are exactly the same at every location. Moreover, the quality of the fit and finish of the architectural elements is another important element that must be consistent. The more consistent the look, the quicker the look is associated (burned-in the mind) with the brand name. Managing restrictive sign codes. The best branded buildings are those that are immediately recognizable at 40 mph. Local sign codes are becoming more restrictive, limiting the height and square footage of the signage. Escape this challenge by branding your buildings with shapes and colors indicative of the brand. Refresh rate. The appeal of chain stores who keep the same look over an extended period of time diminishes more rapidly today. A proof-point, refreshing your look almost always boosts sales. As a result, the average period of time between refreshing the look has shrunk from the traditional 10-15 years to 7 years or less. Minimize the disruption to your stores’ operations by ensuring the architectural elements are “Bolt-on” rather than a “built-in”. This greatly reduces the project time line, disruption and associated costs. Repairs and maintenance. Aluminum Bolt-On technology also benefits ongoing repairs and maintenance. Not only does Bolt-On Aluminum NOT RUST, today’s Powder Coating enables it to hold its finish longer. If there is an unfortunate situation of needed repair or replacing a damaged item, the cost and disruption will be minimal, like changing curtains on the rod. Simplifying the general contractor’s scope of work. Strategically consider Bolt-on Architectural Elements technology to simplify the GC’s scope of work. In addition to opening the store sooner, simplifying the GC’s scope of work will shorten the timeline and increase overall predictability, while consolidating expertise. Simplifying the scope of work also makes the building design and construction more straightforward, creating a more generic “box” with the architectural elements “Bolted-On” rather than built in. Real-estate Value. Commercial real-estate that has the branding built into the store is harder to sell and therefore holds less value. Perhaps you are aware of a location that sits vacant for years because no matter what you there it still looks like the original tenant. Give your real estate it’s identity and increase its value by Bolting-On branding elements that are easily changed in the future. Keys to success. The key to successfully implementing a Bolt-On strategy is to get the architectural elements provider involved with the design process early. When designing Bolt-On architectural elements, you want to keep three things in mind: 1) keep the installation as simple as possible; 2) maintain design continuity and; 3) avoid critical dimensions. The optimal scenario is for the architectural elements provider to build the products from the construction drawings and not have to wait for field dimensions. Critical dimensions are those that require field measurements. Also, we’ve found that, if the construction documents show it, chances are good that the general contractor will build it. Ensure your construction documents/drawings include correct blocking details and layout to streamline the entire process as well as installation. The benefits of classifying your architectural elements as equipment. From the general contractor’s perspective. If the GC sees the architectural elements the same way he looks at other equipment, he will pay more attention to making sure things fit. He doesn’t ask the refrigerator manufacturer to change the size of the refrigerator if he builds the opening too small. The same should apply to the architectural elements. From the owners’ perspective. If the owner can treat the architectural elements as equipment, then his financing options are improved and the depreciation schedule is cut at least half. Make the most out of your total building branding effort by utilizing easy to apply architectural elements. The value it gives your brand (keeping it consistent and refreshed) and the value it gives your real-estate (making it liquid) sets you up to realize the value of your investment more quickly while providing better overall lifelong value from design, functionality and construction perspectives. Contact Awnex for a thorough evaluation to determine the value our Bolt-On Architectural Elements will bring to your brand.